Ask the most powerful beings in the Marvel Universe how they fear the universe will end, and in their most honest moment, they will answer with two words: "Thanos wins." And now, it looks as though that disturbing thought is about to become a horrifi c reality! See what happens when the Mad Titan gets his way! Will he cause the cosmos to spiral downward into chaos and death...or will something very different happen? 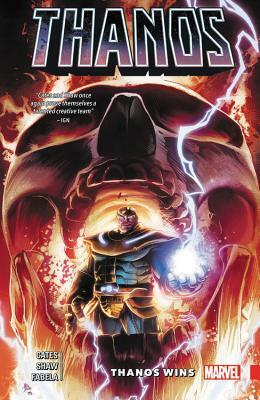 As Thanos journeys to the end of time and his moment of complete victory, he still won't be happy with what he sees! Witness the Mad Titan's greatest glory - and ultimate shame! And no matter what form Thanos' victory takes, is there any way that anyone - or anything - can possibly survive?